So nowadays, we have access to the amount of information, like no one ever had in the past. Anything you want to know is just a google search away. But still; we never have enough time to read all those useful content we find on the web. And this is where the read later apps like Pocket comes in. The idea is simple– if you find an interesting article on the web, but don’t have time to read it, then save it to your pocket account. And read it later whenever you want. 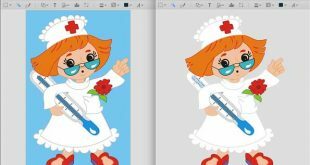 However, if you are already using it for some time now, then here are some tips and tricks to use pocket more efficiently. So let’s get started. Usually, we click on the pocket’s browser extension to save articles in the pocket. But say, you have a URL of the article (like a link shared by your friend on social media) that you want to save but without even opening that link in a new tab. So to do that, right click on that link and select Save to Pocket option. That’s it. Similarly, once you install the pocket extension, you see a small pocket icon at the bottom of the every post on sites like Twitter or Reddit. When you click on this icon, it’ll automatically save the link(s) in the post into your pocket account. If you come across a good article on your smartphone, you can save it to your pocket by using the share feature built-into app. Almost every app have this option. 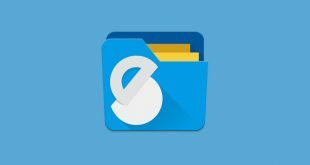 However, if the app doesn’t have this share feature, then copy the URL of the article in the clipboard and open the pocket app. At the bottom of the screen, you’ll see save copied URL to the list, tap on Add to confirm. Pocket’s smartphone app download the articles for offline use. This comes in handy when you are sitting on an airplane and want to read your favorite article. But say, you want to get the same thing on your computer. So how do you do that? Well, you can install the Pocket’s MAC app if you have OS X. And while there is no dedicated desktop app for PC and Linux user, you can try the pocket Chrome app. Like the smartphone app, it will also save the articles for offline use. Pocket has a built in TTS support for both Android and iOS app. This means you can listen to your favorite articles while walking or laying in your bed. So basically, you can turn any text on the web to an audiobook and listen to it on the go. Off course, you won’t hear the natural voice like you get in audible.com. But slowing down the playback speed and use a 3rd party voice engine helps a lot. I use this all the time. To save articles on pocket via email, send (or forward) mail to add@getpocket.com. And add the URL of the post in the body of the email. Just make sure the email address you are using to send the mail and the email you used to sign up in the pocket, is same. However, if you would like to other email accounts, then you will have to link them first. Click here to do this. Saving article to the pocket is already pretty fast. You right-click on the link and select save to pocket option. But say, you have found out a new blog and wanted to save 100’s of articles from it. In such cases, right-clicking each article is not a good option. So to save bulk links to pocket, use batch save to Pocket Chrome extension. IFTTT or If this then that is a popular online service to automate stuff on the internet. And guess what, with IFTTT you can connect your Pocket account with 100’s of other apps on the web. If you add a YouTube video to watch later playlist, then it’ll automatically appear in your pocket account. And automatically save the archive Pocket articles to Evernote. Pocket is intelligent. It suggests you popular articles by learning from your reading habits. There is also an option to follow popular content creator so that you can read what they are reading. Pretty useful. But say, you don’t want the pocket to track you for some articles. Now, the one way to do that is to create an alt account for private stuff. But then, when you log out of your main account, all the saved articles will also be gone. Not an ideal solution, Right? A better workaround is to run two instances of the same app (in this case pocket) using Android app like Parallels Access. This also comes in handy with other apps. So here is how to remove these trending stories from Pocket. Right-click the Pocket extension button and go to Options. A new page will open showing a bunch of Pocket customisation options. Look for New Tab Recommendations and uncheck the box next to it. 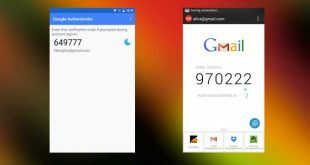 Next Authy vs google authenticator — Which one is Better?